Do you like to take your shaving experience into beast mode? 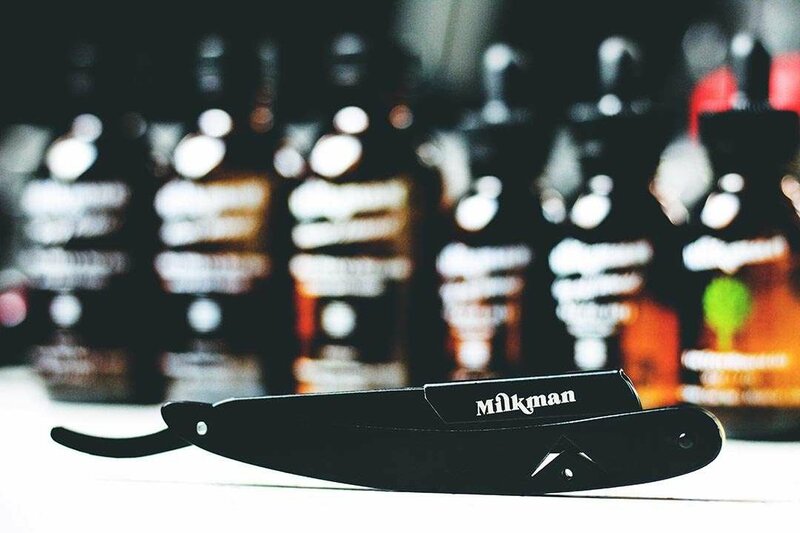 If so, then our cut throat razors are exactly what you're looking for. Enjoy the feeling of learning the skill of using a blade the way the professional barbers do it. Say goodbye to environmentally unfriendly & expensive plastic safety razors. It's time to live on the edge brother. This cut throat uses disposable razors so it's easy to maintain a super sharp, hygenic razor for all your blade work. Although we don't sell them right now, a box of razors is inexpensive (any standard razor brand will fit) and can be bought at many different barbers & shave product suppliers. So you can get started right away, we include 2 blades with each purchase. That's right, you're in beast mode territory, and your wallet will be looking fat at the same time. With a gorgeous signature chevron etched through the handle, this cutthroat is made of stainless steel with a durable matte black coating. Weighing in at roughly 57 g, it is a middle weight with enough heft to give a steady feel whilst being light enough to manoeuvre all day without tiring. Comes with a quality leather-look pouch (we'd love to give you leather but hey, it's only 25 bucks).